A delicious gluten, dairy & egg free sweet treat. 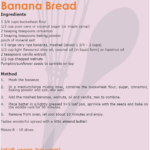 This is very easy to make, uses up the uneaten ripe bananas at the end of the week and can be enjoyed by everyone. Spread with a little butter (if you eat dairy) or some almond butter (if you’re dairy free). The addition of the walnuts add some good fats and texture to the loaf. 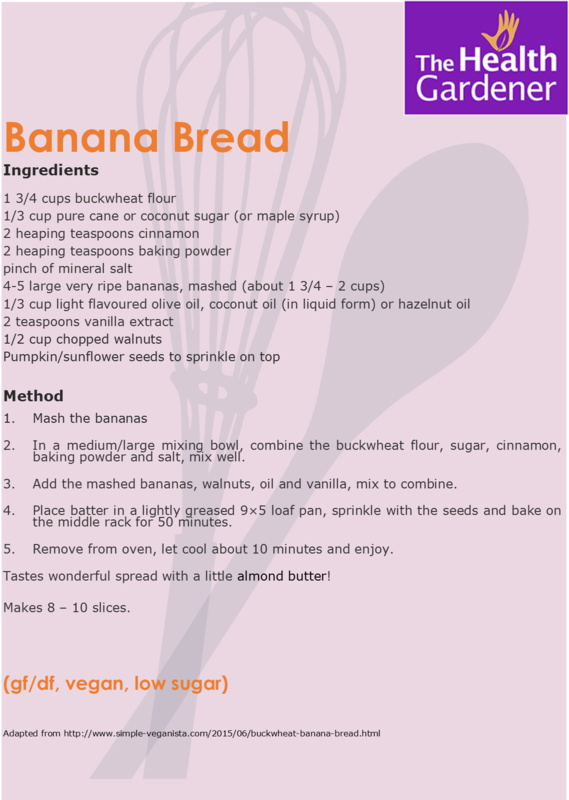 Ripe bananas are really good for your gut and this is a really lovely way to include them in your diet. Because the recipe uses ripe fruit you will need to keep the bread in a closed container in the fridge where it will keep for 2/3 days. This also works well with a topping of pureed raspberries and coconut cream for a healthy, but indulgent pudding.